Find out how the people who work for us are our biggest strength and an integral part of the enzyme development and manufacturing process. Biocatalysts offers a comprehensive benefits package to all of our employees. This includes the following. Four Day Week – 4 or 4.5 day week – Combine your 37.5 hours (normal working week) into 4 or 4.5 days giving you more flexibility to have extra time off. Certain restrictions apply. We aspire to attract, develop and retain committed and talented people who are a vital factor in the efficient and effective operation of our business. Without excellence, our customer service would suffer, we would have less of an impact and would not be able to realise our vision. In this respect, we seek to reward our staff for the work that they do and recognise the valuable contribution towards achieving the company’s strategic objectives. For anyone new joining a company, you will have a mixture of emotions. Find out what happens at Biocatalysts. For anyone new joining the company, you will have a mixture of emotions so it’s important you are made to feel at home from day one. We always plan your induction, training and development programme in advance and on your first day, you will meet your ‘buddy’ and team over lunch. 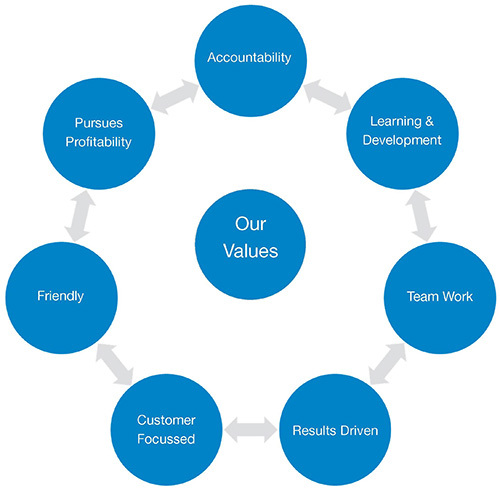 During your first few weeks, we will share information such as our company mission, values, strategic objectives and simply explain the way things work around here. It is important for you to see how your role and responsibilities fit within the company, so we go through your objectives for the first 3 months and our aim is to help you get up to speed as quickly as possible and become successful. We recognise that everyone is different and therefore, tailor our training programmes to suit your working style. Opportunities to grow professionally and personally alongside company growth. Your induction is just the beginning. We recognise the ‘talent’ within Biocatalysts is our people and along with your valuable knowledge, skills and the right behaviours, you can make a difference to company performance either through your immediate contribution or in the longer-term by demonstrating the highest level of potential. We are a knowledge based company and to ensure we maintain our reputation of being technically excellent within the industry, training, learning and development opportunities are available to everyone. We appreciate that some of you are happy to come to work and do your job without having to develop further whereas others will want to continually learn and develop new skills and take on additional responsibility. Promotion is based on skills, potential and contribution and not time served. You will have a Personal Development Review to help us understand your aspirations for personal development and growth and we will look for development opportunities that are aligned to business needs and will help you make the most of your talents. Our people are our catalyst and we know our success is achieved through them. See what our current employees have to say about working at Biocatalysts. Our people are our catalyst and we know our success is achieved through them. We know our customers like working with our people because they tell us. We are friendly, open, customer focused and you will meet and work with a wonderful team of people who are always available to help and support you not only through your first few weeks but at any time. This is what we do.